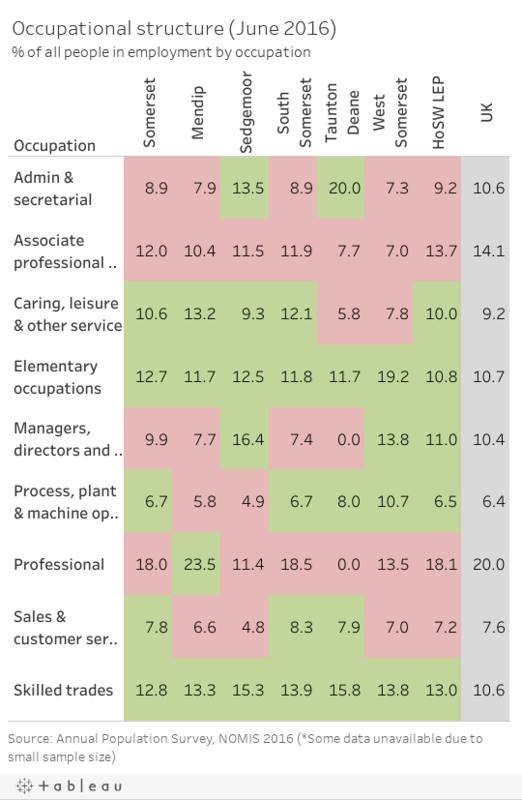 The largest occupation group in Somerset are professional roles (18%), compared to 20% at a national level. Elementary occupations are well represented in all Somerset districts compared to the UK as a whole. Sedgemoor had the highest proportion employed within Managers, directors and senior official sector with 16.4%. 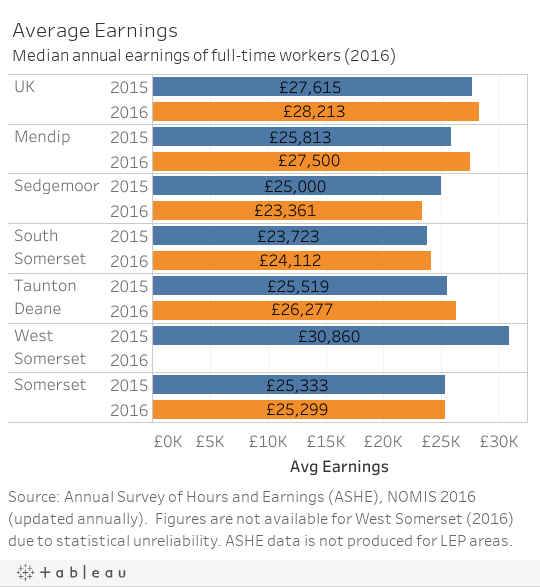 23.5% of all people in employment in Mendip are employed within the professional sector. Somerset has a smaller proportion of people employed in the public sector than the Heart of the South West area; 22.8% compared to 23.4%. Within the County there is a particular concentration of public sector employment in Taunton Deane (27.6%) Public sector employment in Somerset peaked at 24.7% of the workforce in (Jan – Dec) 2009. 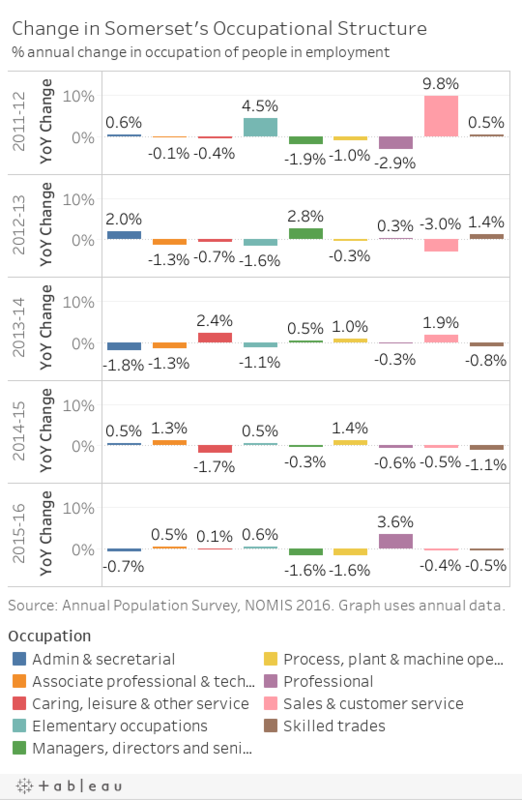 Since then, the number of people employed in the public sector in the County has decreased, but saw a small increase in June 2011.